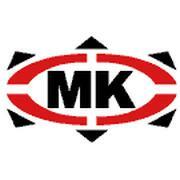 MK blades are produced in the United Kingdom by expert craftsmen using only the highest quality materials. Superior hardened steel and state of the art technology create a true competitive edge. Their unwavering attention to detail is reflected in the 52-step manufacturing process which includes six hardening and tempering practices. Each blade is built according to the highest standards, scientifically hardened and precision-sharpened for optimum skating edge and unparalleled on-ice feel. Surface treatments and coatings ensure a premium quality figure blade skaters can excel on. Mitchel & King won its first championship in 1951 and has been worn by national, world and Olympic champions ever since. For the ultimate performance on the ice, count on Mitchel & King Blades.